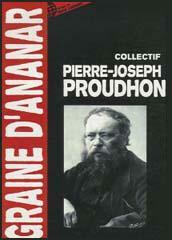 Pierre-Joseph Proudhon, the son of a brewer, was born in Besancon, France, in 1809. He attended the local school but was primarily self-educated at the town's public library. Proudhon was apprenticed as a printer and became interested in politics after he was involved in the printing of The New Industrial and Cooperative World by Charles Fourier. Proudhon now turned to writing and in 1840 published What is Property? 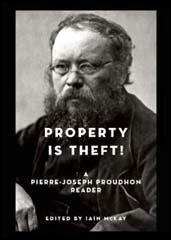 In the book Proudhon attacks the injustices of inequality and coined the phrase, "property is theft". In the book Proudhon attacks the injustices of inequality and coined the phrase, "property is theft". Proudhon contrasted the right of property with the rights of liberty, equality, and security, saying: "The liberty and security of the rich do not suffer from the liberty and security of the poor; far from that, they mutually strengthen and sustain each other. The rich man’s right of property, on the contrary, has to be continually defended against the poor man’s desire for property." Proudhon published his most important work, System of Economic Contradictions, was published in 1846. Karl Marx responded to Proudhon's book by writing The Poverty of Philosophy (1847). This was the beginning of the long-term struggle of ideas between the two men. Proudhon was opposed to Marx's authoritarianism and his main influence was on the libertarian socialist movement. After the 1848 French Revolution in France, Proudhon was elected to the National Assembly. This experience resulted in the publication of Confessions of a Revolutionary (1849) and the General Idea of the Revolution in the 19th Century (1851). In these books Proudhon criticized representative democracy and argued that in reality political authority is exercised by only a small number of people. In 1854 Proudhon contracted cholera. He survived but he never fully recovered his health. He continued to write and published two more important books, Justice in the Revolution and in the Church (1858) and the Principle of Federation (1863). In the book he argued that nationalism inevitably leads to war. To reduce the power of nationalism Proudhon called for a Federal Europe. Proudhon believed that Federalism was "the supreme guarantee of all liberty and of all law, and must, without soldiers or priests, replace both feudal and Christian society." Proudhon went on to predict that "the twentieth century will open the era of federations, or humanity will begin again a purgatory of a thousand years." The International Working Men's Association was established in 1864. In the organization Proudhon's followers clashed with those of Karl Marx and Mikhail Bakunin. Proudhon, unlike the other two men, believed socialism was possible without the need for a violent revolution. Proudhon's views were to have a profound effect on several writers in Russia including Alexander Herzen, Peter Lavrov, Peter Kropotkin and Leo Tolstoy. Pierre-Joseph Proudhon died in 1865. These words are a challenge to all men of hope and faith; but, although the cause of equality is a noble one, no one has yet picked up the gauntlet thrown down by the advocates of property; no one has been courageous enough to enter upon the struggle. The spurious learning of haughty jurisprudence, and the absurd aphorisms of a political economy controlled by property have puzzled the most generous minds; it is a sort of password among the most influential friends of liberty and the interests of the people that equality is a chimera! So many false theories and meaningless analogies influence minds otherwise keen, but which are unconsciously controlled by popular prejudice. Equality advances every day - fit aequalitas. Soldiers of liberty, shall we desert our flag in the hour of triumph? The philosophers have endeavored often to locate the line which separates man’s intelligence from that of the brutes; and, according to their general custom, they gave utterance to much foolishness before resolving upon the only course possible for them to take, - observation. It was reserved for an unpretending savant - who perhaps did not pride himself on his philosophy - to put an end to the interminable controversy by a simple distinction; but one of those luminous distinctions which are worth more than systems. Frederic Cuvier separated instinct from intelligence. If, hitherto, any one had dared to maintain the latter alternative, his arguments would have seemed scandalous, blasphemous, and offensive to morality and religion. The ecclesiastical and secular tribunals would have condemned him with one voice. And, mark the style in which they would have branded the immoral paradox! “Conscience,” — they would have cried, — “conscience, man’s chief glory, was given to him exclusively; the notion of justice and injustice, of merit and demerit, is his noble privilege; to man, alone, — the lord of creation, — belongs the sublime power to resist his worldly propensities, to choose between good and evil, and to bring himself more and more into the resemblance of God through liberty and justice.... No; the holy image of virtue was never graven save on the heart of man.” Words full of feeling, but void of sense. Man is a rational and social animal said Aristotle. This definition is worth more than all which have been given since. I do not except even M. de Bonald’s celebrated definition, — man is an intellect served by organs — a definition which has the double fault of explaining the known by the unknown; that is, the living being by the intellect; and of neglecting man’s essential quality, — animality.